Our purpose built kennels are of brick construction, double glazed and fully insulated and designed to help pets feel comfortable in new surroundings. Each unit has an individually controlled direct heat lamp for extra warmth if required in colder months. 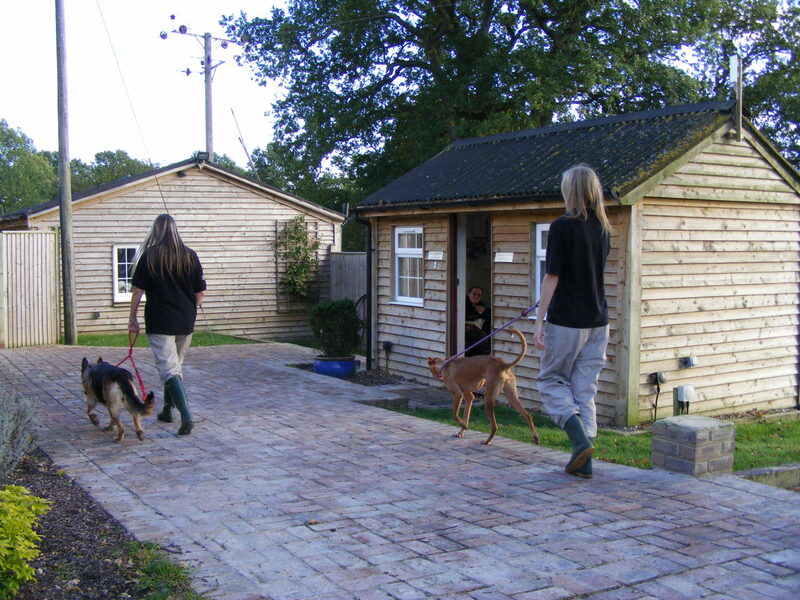 The beautifully tiled kennels are finished to a high standard and provide a warm, clean, dry and hygienic home for your pets during their stay. Our kennels are spacious and are designed as “large doubles” and can comfortably accommodate more than two dogs from the same household. Each unit has an individual outdoor covered run allowing your pets to come and go as they please into the fresh air. Our kennels are split over separate blocks which enables us to house like animals together. If your pet is timid, nervous or perhaps elderly we can ensure that they are housed away from our more boisterous borders! Security has been key in our development, with security lighting and fencing providing a secure and safe environment. All dogs are exercised in our secure activity fields daily, whatever the weather! The dogs love being able to run off lead and have a good sniff around and even play a few games! We do not mix dogs from different households for safety reasons. Your dogs enjoy our undivided attention, we make a point of getting to know all pets to put them at ease. 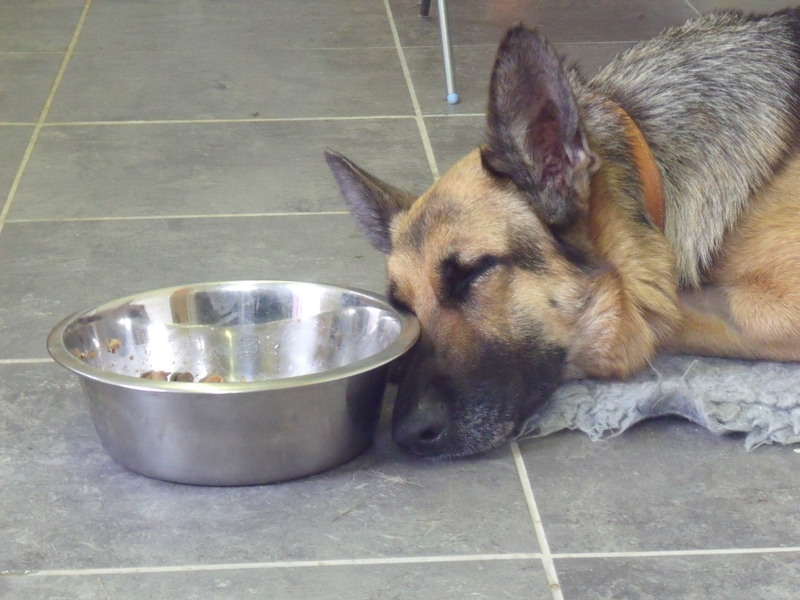 We supply a high quality complete dried food but should you wish us to feed your pet any other food please bring sufficient with you for their stay. Clearly label so we may willingly follow your instructions. We can administer vet prescribed medication, again sufficient clearly labelled. In the case of invasive or time sensitive medication there may be a supplementary charge. Please discuss this with us prior to booking. We have access to a local veterinary practice to ensure your dog receives the best care should they be required for continuing medical treatment or any emergencies. Daily observations are made regarding food intake, water consumption, toileting, feeding requirements, and medication if required, amongst general observations on behaviour etc. These are recorded on a clip board at the front of each kennel providing instant referencing for all staff. This process ensures that your pet’s wellbeing is continuously monitored, providing the highest standards of personalised one to one care. 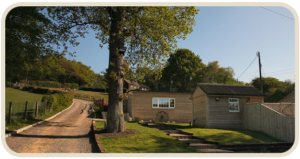 As well as overnight accommodation we also offer a day care service. Should you need to be away from home for long periods during the day whether for work, attending a function or simply for a day out, we can look after your pets leaving you secure in the knowledge that they are safe and happy. Our day care pets receive the same attention and care that our overnight clients receive. All borders (overnight and daycare) must have current annual vaccinations for the duration of their stay with us and we require you to bring their vaccination cards with you on drop off. Any animal with lapsed vaccinations or without their vaccination card will not be admitted for boarding for the safety and wellbeing of all our boarders. Kennel Cough vaccinations are advisable. 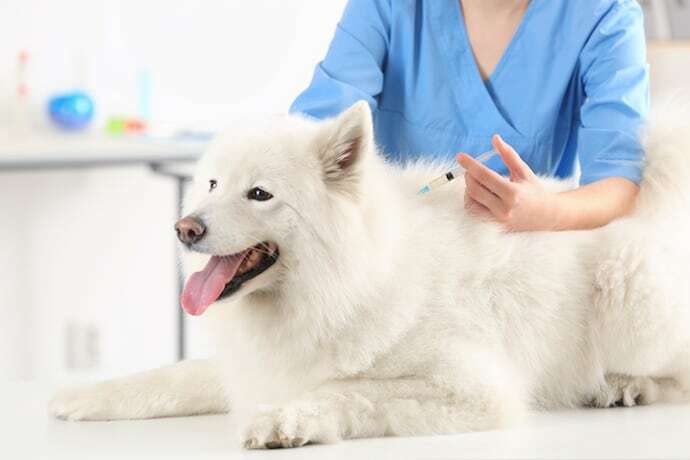 Due to the nasal vaccination being a live vaccine it must be administered at least 10 days prior to boarding so that your dog does not present a risk to the other dogs in our care. Animals that have received the vaccination less than 10 days prior to boarding will not be accepted for boarding. The Kennel Management reserve the right to refuse to board any animal that appears unwell at the time of boarding. The safety and welfare of all our boarders forms one of the cornerstones that our reputation is built upon. You can be assured that your pet will always be in a safe and clean environment where the highest standards of hygiene are maintained at all times. Our Kennels are cleaned routinely twice a day and at any other times that are necessary. We use a specialist professional animal disinfectant which is also the preferred disinfectant for veterinary practices and other professional animal organisations. Not only does it kill germs effectively but it is non toxic and safe for all animals, the environment and water courses.